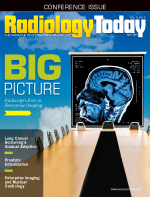 When it comes to image sharing and interoperability, nuclear cardiology faces many of the same demands as radiology. Physicians want access to images and reports from anywhere, at any time. Michael Lee, chairman and CEO of Syntermed, a provider of nuclear imaging software, says image registries, decision support, and integration with EHRs will become increasingly important for nuclear imaging in the years ahead. Emory Toolbox 4.0 was developed with funding from a National Institutes of Health STTR Fast Track grant R42HL106818, under the direction of Ernest V. Garcia, PhD, a professor of cardiac imaging and the director of Emory University's Nuclear Cardiology R&D Laboratory, and Kenneth Van Train, the president of Syntermed. To help meet the IAC guidelines, Syntermed collaborated with Lawrence Klein, MD, of POSMEDIC, LLC, to develop the new reporting platform for Emory Toolbox 4.0 called SmartReport. Like many nuclear medicine tools, Syntermed's Emory Toolbox 4.0 is available as an integrated component of larger image workstation systems. It's also available as a standalone component. Although nuclear cardiology components are often packaged as parts of larger systems, facilities can still gain access to nuclear cardiology capabilities without implementing a large IT project. Lee says the key to successful integration is to take advantage of existing interfaces, such as Health Level 7 (HL7) interfaces. He cautions, however, that it also takes planning and expertise. "People often say that they integrate with the EMR or that they're HL7 ready, and what that typically mean is that they put an HL7 header on the file. So it's ready to go, but the [health care organization] has to do all of the work," Lee says. "[Putting an HL7 header on a file is] the easy part. The hard part is identifying the resources, putting the effort in, creating the interface, and actually making it happen." A big part of EHR integration is report availability. Lee says clients are looking for reports that are compliant with Intersocietal Accreditation Commission (IAC) Nuclear/PET (formerly ICANL) guidelines. Because physician preferences can vary widely, the guidelines stress consistent, structured reporting. "That takes people getting together and agreeing on what the normal report should look like," Lee says. "It requires consensus. But once you have that consensus, you want to be able to technically implement that structured report." To help meet the IAC guidelines, Syntermed rewrote their SmartReport feature for Emory Toolbox 4.0. They also wanted to enable cloud storage, incorporate newer security protocols, and add a decision-support function. Beginning in 2017, physicians ordering CT, MRI, nuclear medicine, and PET exams will be required to use evidence-based appropriateness criteria when ordering exams for CMS programs. Smart Report 4.0 is the first FDA-approved decision support tool for cardiology. The program draws from a large database and uses 230 heuristic rules to automatically interpret the imaging study and produce a report, which the physician can accept or reject. It also has an automatic reporting function that uses natural language processing. Once the report is finalized and accepted, it goes directly into the EHR. Lee says tools such as this can help physicians read reports more efficiently. The reports can be customized to meet physicians' specifications and are accessible through the EHR or on Syntermed's cloud-based Syntermed Live service. EHR and cloud interoperability allow multiple users to interact with the report. Lee says this type of interactivity allows users to develop a more complete picture of a patient's health status. "There are multiple touchpoints along the way," Lee says. "For example, the administrator can fill in some of the demographic information, or that information can be patched in automatically from the EHR. Multiple people can interact with the report by putting in treadmill information, heart rate information, blood pressure information, etc, so, by the time the physician accesses the report, not only is there information that's acquired and transferred based on the study, but there's also other information that's gathered as part of the study process. The report's not stuck in a silo." Eliminating data silos is one IT aspect of value-based care. Another is searchability. The American Society of Nuclear Cardiology's (ASNC) ImageGuide Registry is a project that aims to help physicians assess performance and develop tools based on appropriate use criteria, to enhance patient safety and quality improvement. The registry will allow wider access to nuclear cardiology images for research purposes. SmartReport is designed to be used with registry images, although Lee says some parameters are still being defined by ASNC. The demand for nuclear cardiology reports will continue to grow, Lee says. That will only increase the need for interoperability. EHR integration may be less of a concern with a larger workstation, but for a standalone system, gaining access to IT resources can be a challenge, he adds. The key is to make nuclear cardiology a priority. Syntermed offers facilities the option of doing the integration for them, but they still need someone to the let them in. "We still need access to the internal IT people, and they still need to put it on the list of priorities. So, even though we need less of their time, we do need some access to them," Lee says. "In a standalone environment, one of the challenges is simply gaining priority because IT people are so busy trying to deal with EHR/EMR integration, maintaining the systems, and bringing new applications in."